Meaningful types of sharing increase the likelihood that people will purchase, use and recommend a brand. To explore the sharing relationship between people and brands, PR giant, Edelman, surveyed 11,000 people in eight countries to develop “Brandshare,” which advocates putting people at the center of brand strategy and provides a framework for prioritizing marketing activities based on people’s interests and needs. The Brandshare consumer study found that 90 percent of people want marketers to share their brands more effectively (only 10 percent believe brands share successfully). Not all sharing is created equal, and for brands to understand and experience the value of sharing, they need to act like partners rather than owners. Another study this year by ShareThis wanted to provide “insights into the relationship between online sharing of movie related content and movie ticket purchases.” It found that consumers who share movie content are 6x more likely to buy movie tickets. 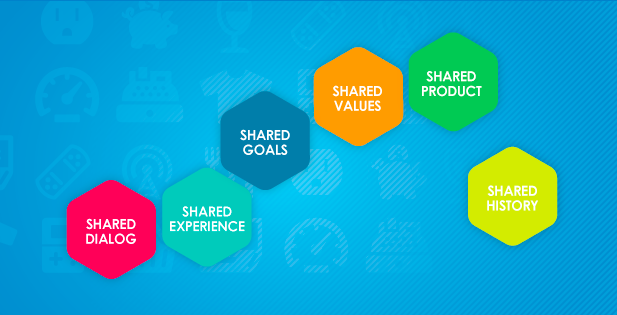 Brandshare’s “The Six Dimensions of Sharing” elaborates on the link between effective brand sharing and business value. Do we want to talk to brands? As long as brands act on what they hear. People are ready to offer suggestions, voice opinions and ask questions. To enable this, brands must listen and respond thoughtfully to what they hear. Brands often believe they are having a shared dialog; people often disagree. 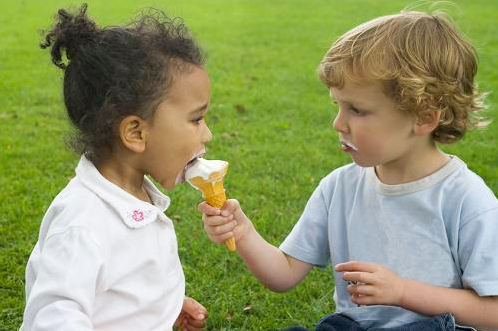 Shared dialog is the entry point to a shared relationship. Can we do things together? If brands make every occasion meaningful. People enjoy experiences beyond just using a product, and like being connected through real life and online activities. People in developing markets are more eager for and place a higher value on shared experiences. In developed markets, where brand experiences are no longer inherently novel, brands must recast experiences to be more about people’s interests than their own. Do we want to achieve the same things? Just lend me your ear and a ladder. People want brands to help them reach their goals. But goals are personal, and people would rather be asked what they need before being told how to get there. This is especially true in product categories where people aren’t always confident in their knowledge, such as financial services and technology. Do we believe in the same things? We do when brands stand up for what they stand for. People reward brands that openly share their values. Nearly 50 percent surveyed want more transparency about sourcing, and more than 40 percent want to see more local community giving. Many brands have sophisticated values initiatives in place, but too often people aren’t seeing them. Can we create together? If brands give, they’ll get. One of the greatest opportunities for brands lies in their willingness to let consumers see behind the curtain and participate in the product development process – we found that nine out of 10 people want to be involved. People also want complete transparency about product performance and want brands to share information about how they compare against their competitors. Do we know your story? Where brands come from shapes where they’re going. A brand’s history is secretly seductive. It personalizes and humanizes a brand. People don’t explicitly demand that brands share their history, but a brand heritage is one of the most powerful predictors of people’s intent to purchase or recommend a brand.